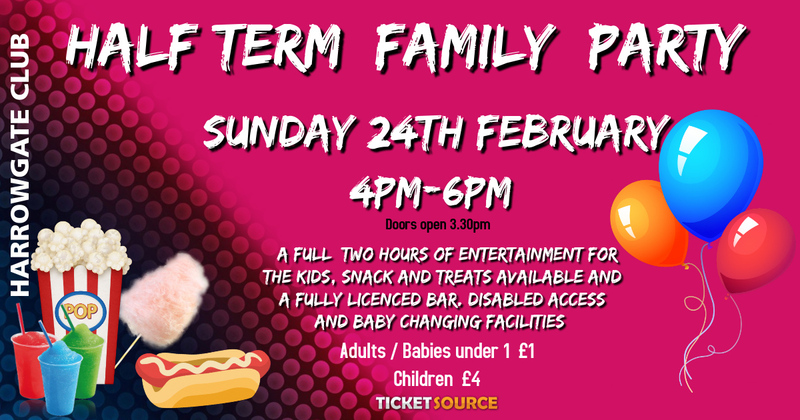 Join us for some half term fun with Stardust Entertainments. There will be party games and a disco. 4pm -6pm Sunday 24th February 2019 . Hot Dogs , Popcorn, Sweets, Slushies and a fully licensed bar.